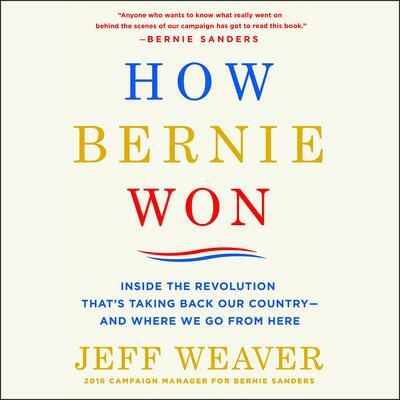 Jeff Weaver, who began working for Bernie Sanders in 1986, was his campaign manager for the 2016 presidential election, as well as president of Our Revolution, a nonprofit founded by Sanders until June 2017. He graduated from the University of Vermont and Georgetown University Law School. He lives in Falls Church, Virginia.